The one thing I really wanted for my wedding was to have Red Sole Studios as our videographers. If they were unable to do it on my wedding date, I would’ve gladly changed our wedding date. I’ve been watching their videos for years and have always loved their work! You get to see the unique love story of each couple and that is what I love best about their videos. Even though you don’t know the couple in the videos, you feel connected to them in some way. I would even cry watching people I didn’t know. They really bring the emotions out of me. After showing our family & friends the wedding video highlights, they would ask us where we went to do the pre-shoot because the scene was so beautiful. When I tell them it was in Austin, they couldn’t believe it was somewhere in Texas. They really made us look like we were at some exotic place! Landy and Nick are so easy to work with! They were very patient and made the whole process a great experience for us. We can’t imagine having anyone else capture our special day. From the drone shots, editing skills, music choice, and everything in between, you will not be disappointed with Red Sole Studios. I highly recommend them! Hands down the best videographers ever!! Nick and Landy of Red Sole Studios made our whole wedding filming process enjoyable, easy and fun. They went above and beyond to seek scenic locations and directed us in any and every possible way to give our video lots of wow factor. We received countless compliments from our family and friends and how they can’t stop watching our highlights. Red Sole truly has the knack of creating such a beautiful story of our special day that my husband and I will treasure forever! Hiring them was worth every penny. Don’t hesitate to book them. You’ll only regret it if you don’t. Nick and Landy are truly the best videographers you’ll come across. Every couple has their must have for their wedding and Red Sole Studios were ours. They were actually booked for our wedding date, and we were heart broken. So we settled for some other videographer after months of looking at mediocre wedding videos, but Landy reached out to us 6 months before the wedding and said our date became available. We felt like we hit the lottery! Yes, we lost a deposit for the other vendor and yes it was completely worth it! Nick and Landy have a vision like no other, their ideas and thought processes will make your wedding day so amazing you’ll watch your video daily or 20 times in one day like my husband. My advice is to contact Red Sole Studios first for their availability and then work your wedding around them. Yes, they’re that good. When I met Landy and Nic 4 years ago, I knew then I wanted to hire Red Sole Studios to capture my big day! After I got engaged in the summer of 2015, one of the first things I did was to call Landy and check her schedule. My close friends and family thought I was insane for setting my wedding date around their availability until they met the power couple. Everyone fell in love with them immediately and understood why it was so important to me to have them as my videographers. Their professionalism and attention to detail is out of this world. They were clear about what they wanted and how to showcase our personalities. Most importantly I’m grateful that they MADE us write our own vows, because of that I was able to get a glimpse of my husband’s emotional side ??. Red Sole Studios is truly amazing at what they do. With or without this review, their work speaks for itself. I now not only have the best video to remember one of the most important days of my life, but Jerry and I have also gained 2 life long friends through this unforgettable experience. Red Sole Studios is the absolute best! Nic and Landy are an amazing couple that work flawlessly to create such beautiful lasting memories. They were there with us every step of the way with open communication and great organization. We thoroughly enjoyed every moment with them, and they made us feel so special! Our wedding video came out better than we could’ve ever dreamt of, and the whole process was easy and we had so much fun doing it! At first we were reluctant on some of the instructions (personalizing vows and pre-wedding shoot), but we trusted them because we saw all their previous amazing works and decided to go with it. They encouraged us to write our own vows, and we’re so glad we listened to them! We didn’t plan on it, but after we saw our video, we would’ve really regretted it if we hadn’t! Couldn’t have chosen a better videographer to document our day. The couple’s love definitely shines through in their work. We have received so many compliments for our wedding video. We love it so much, we can’t stop watching and reliving it everyday! Thank you so much Landy and Nic!!! We are forever grateful!!! I knew I wanted Red Soles after they did my friend’s wedding a couple of years ago. When it was my turn, I immediately reached out to them once I picked my date with my venue. I was so happy when I found out they were available. My husband and I are in no way actors or models lol. But Landy and Nick made our preschoot so easy, they made us feel so comfortable and at ease. They were so encouraging and patient. They told us to write our own vows and at first it was scary but we were so happy we did it since it was the most personal part of our day. Our highlights and wedding video were a hit among all of our family and friends. We cannot be any happier with their work. They were so easy to work with and so professional. Landy is very quick with replying to our questions. They just made the whole process so easy. They captured the most important day of our lives and we’re so glad we chose them. I highly recommend Red Soles to anyone getting married. You will not be disappointed! Booking Red Sole Studios was the best thing I did for my wedding day. Nick and Landy are two of the most talented, kind and patient people I’ve ever met. Their professionalism, experience, vision, and passion for the work they do is truly shown in all the moments they’re able capture and showcase in all of their videos. I am so thankful to have found videographers I never met previous to my wedding weekend that really took the time to learn about us, get to know who we were and what we liked, engaged our family and our friends to be able to give us such a treasured memory of one of the most important days of our lives. 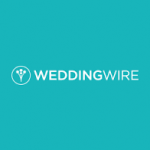 I say with confidence, that my wedding experience would have not been the same without them, and their work has left a tremendous impact in our lives and gave us a beautiful start to our marriage, and there’s no putting a budget that. When my husband and I first started planning our wedding, videography was at the top of my list. I was looking for something very specific – aerial shots. I told my wedding planner this and she immediately suggested Red Sole. I am so glad she did! This was one of the best decisions I made for our wedding. Our highlight video literally blew us away and brought us to tears. It’s something you will watch over and over again and be so thankful that you have. We received it about a month after the wedding (Yes, that fast!). Shortly after, we received our full wedding video and it only gave us another reason to cry. You have a tendency to forget all the little things that happen on your wedding day because it just moves so fast and it’s all a blur. We were able to watch it and see all the beautiful moments that we missed. Everything is very cinematic. Their work will make you look like you’re in a movie — but it’s not! It’s real life! And you constantly have to remind yourself of that while watching. Landy and Nick are both very friendly and will make you feel comfortable. You won’t regret sharing your day with them. They really care about what it is that you envision for your video and will help make it come true. Their talent is truly next level. Just recently received our wedding highlight and loveddd it!! We had so many compliments on the video. Red Sole Studios really did a wonderful job and we expected nothing less! Their work have always been very professional and meticulous. If you’re looking for one of the top wedding videographers in the business, contact them ASAP because they book up fast! We are so happy with the outcome of our wedding highlight video. Red Sole definitely knows how to capture all of the special moments to create a beautiful story for all of our friends and family to remember. Also, the online feature of our wedding video is so great to share with long distance family members, no hassle of having to send them a copy of the dvd! We love watching it to bring back all of the memories of our wedding day. Working with Red Sole was such an enjoyable experience. They are the sweetest couple and made us feel comfortable from the start, which was very assuring. 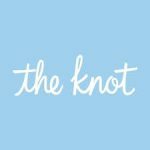 I would highly recommend them to all of my friends that are getting married soon! My husband and I met Landy & Nick about 3 years before our wedding at a cousin’s wedding that we were both apart of. They were so professional, sweet, and nice that we felt like we’ve known them for years. By the end of the night we knew we wanted them to be our videographer at our wedding. It’s been a little over a year after our wedding and they allowed us to relive all the wonderful emotions and joyfulness of the day. They did an outstanding job on the video. Everything was just perfect from beginning to end and they captured all the highlights of the day beautifully. They were so easy to communicate with before and after the wedding to ensure that the video will be perfect. I cannot say enough great things about Red Sole Studios! They are some of the most talented people we worked with and are extremely professional. One of the best, if not, the best vendor we worked with for our big day. We looked into 2 other videographers, but Red Sole provided the style of video we liked the best. 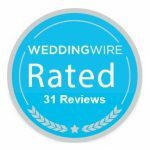 Along with raving reviews from other couples and reasonable price, it was a no brainer. The icing on the cake was the genuine friendliness and professionalism of Nick and Landy. We were nervous going into it, but they made the process so smooth and easy. If you are contemplating on using them to capture your big day, then look no further. Just check out their jaw-dropping trailers and other reviews, and you will understand why. Keep up the good work Red Sole! Red Sole Studios has by far been one of the best investments we made for our wedding. They are a wonderful team to work with and not only met but exceeded our expectations. They got to know not only on a client level, but also a personal level and became rather great friends as well. This made working with them even easier. They were patient, informative, and overall very helpful the entire process. They work hard to ensure we were very happy with the final product, which was absolutely perfect as we loved everything about our video and highlights. It definitely brought us back to relive the moments of our special day. The video will be treasured and cherished forever. We love Red Sole Studios and couldn’t and wouldn’t trade their work for any in the world.